Wouldn’t you rather purchase fresh products at the best prices? That is what we sell. Osmosis Skin Care. We have sold this product line since the company began. Do you want products that sit in a warehouse, or sitting on the shelves for a long period of time. We can assure you our products are fresh and our prices the best. Osmosis Skin Care Log in for the best prices. It is worth it. Or use our code save. in the shopping cart. You will find a great price on all the Osmosis products. Plus they are fresh. Never old products as some sites have. Catalyst Plus is made for restoring the skin also. It is more gentle for those of you that cannot tolerate Catalyst. Catalyst AC11 is the one we recommend to start if you are not sensitive. It helps with restoring the skin, even skin tone, acne, skin tags. Once registered, you will also receive a code so you may use anytime on Osmosis. Osmosis Skin Care products may be mixed together. This is called a cocktail. Some of the products blend better together than others. A key product you may want to start with is Clear or Clear Plus. These sprays are anti-bacterial, plus they help the products penetrate better. Clear Plus is more hydrating. So take your pick. Just a little spray on top of your products and massage them into the skin. So easy and wonderful results. In the middle of my Osmosis Landing Page, I give you a reference of the Treatment Serums that are beneficial to the skin. Relieve, Calm, Correct, Renew and Clarify. These products all have a purpose and work well with the other Osmosis products such as the Catalyst family, and Stem Factor. I personally like to put a few drops of my favorite Osmosis products in the palm of my hand (cocktailing) and then apply to the skin. If I have a particular challenge, I apply whichever Osmosis product which suits that need, and apply the product directly on the area that I want to treat. You may do this with Clarify on your break out or acneic areas for example. I also like to apply Catalyst directly to the area and massage it in, since Catalyst is so healing. 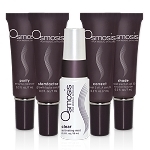 All of the Osmosis 3 Catalyst products are healing, and are suited to various skin types. Restore Internal and Topical are the 2 latest products by Dr. Ben Johnson and Osmosis Skin Care. Dr. Johnson feels both the Internal and Topical are necessary for the best results. Pigmentation is also a by product of inflammation which is on the inside of the body. The internal helps calm inflammation and helps build a stronger immune system. Apply the Restore Topical to the pigmented areas. Then apply your other Osmosis products. Catalyst, Stem Factor and one of the treatment serums by Osmosis. You may mix the other products together in a cocktail and apply them to the skin, or you may layer them each separately. This is your real chance to get on top of pigmentation and help get rid of it. I know we have all tried to many different things. Dr. Johnson said it can take 3 months to see the difference. You will be able to slowly see it breaking up. 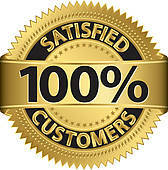 I am receiving positive feedback from my clients now. They are purchasing more, which is a good sign. Osmosis Catalyst is a revolutionary product that can transform your skin. It is is a patented combination of amino acids and key co-factors that will improve wound healing, lighten pigmentation, reduce visible capillaries, and stimulate collagen/elastin production through a revolutionary process. Dr. Johnson has updated many of the treatment serums that contain Retinaldehyde, which is a safe form of Retin A. The serums improve the skin’s nutritional supply and increase immune repair activity while stimulating new collagen/elastin formation and restoring the protective epidermal barrier. Osmosis treatment serums offer a synergistic combination of attributes. If you are a loyal Osmosis Skin Care customer, these are the two products for your anti-aging needs. You are giving your skin nutrition, peptides and 157 epidermal growth factors. There is nothing like it out there in the skin care world. When you are first starting out with the Osmosis Skin Care line, you want to start slowly. I would alternate the Catalyst and Stem Factor. One in the AM and one in the PM. Do this for several weeks. You will notice significant improvement in your skin. Once your skin has adjusted, you may use a pump of each and apply to the skin AM and PM. Within days you will look so amazing. I actually had people telling me I never looked better. Catalyst is very healing on the skin. Very beneficial for pigmentation, and most skin care issues. StemFactor is ahead of its time in turning back the clock on aging. I get asked this question on a daily basis. Both are the latest products released by Osmosis Skin Care. Catalyst has been a top seller for the last 6 months. Now StemFactor is the newest product by Osmosis that is going to change the trend in skin care. Dr. Ben Johnson the founder of Osmosis is always working on cutting edge products for his customers. He is always staying ahead of the aging process and feels passionately if you take care of your skin properly, you will look younger. I have many customers that use the Osmosis Skin Care line that will agree. Catalyst is a must have product. It is so helpful for anti-aging, pigmentation, rosacea, most skin issues. It is very healing and is gentle so most people may use this product in confidence. I have personally seen it heal many skin maladies. Stem Factor is amazing. You need to go to my website http://www.karinherzog-jmilan.com to read up on it. Apply it to a clean face. Apply StemFactor liberally on the skin. In a matter of days you skin is so soft and smooth. You may use you other Osmosis treatment serums after applying the StemFactor. The longer you use it, the more youthful the skin will look. It is perfect if you use both products. You may use one in the AM and the other in the PM. Or once your skin has adjusted to the products, trying layering the products. Everyone’s skin is different, so see what works for you. If you have pigmentation problems, or more skin issues going on such as rosacea or skin irritation, I would start with Catalyst. It is so very healing on the skin, plus very anti-aging. I have been an esthetician for many years. I purchase so many products each year and try many more that I decide not to purchase. If I do not see results, I cannot in good faith sell a product to my clients. Catalyst is one of those products that I am happy to sell, since I know it can change the skin for the better. If you have acne, anti-aging, rosacea, pigmentation, uneven skin tones, large pores, Catalyst is your answer. I personally have seen results on long term problems areas that were red and irritated. Now those same areas are clear and normal looking. If you want noticeable results, this product is for you.